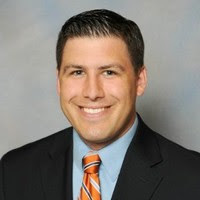 As Chairman of the Council's Board of Directors, I am excited to share with our membership that Kyle Shreve has been selected as the next Executive Director of the Virginia Agribusiness Council. Kyle comes to the Council from the Virginia Association of Health Plans, where he has been the Director of Policy since December 2015. Prior to that, he served as the Director of Government Affairs for the Virginia Retail Merchants Association. For the first six years of his career, Kyle worked for the International Dairy Foods Association as their Manager of Legislative Affairs. While there, he worked extensively on agriculture policy and gained considerable knowledge of our industry. He is a familiar face at the General Assembly and has established many valuable relationships with both fellow lobbyists and legislators during his career. In addition to his strong policy background, Kyle brings association management, event planning and membership recruitment experience to the Council. His association experience, along with his demonstrated strength in government policy and legislative affairs, make him a tremendous asset for Virginia Agribusiness Council. Kyle is a native of Pennsylvania and received his B.A. in Political Science and History from Pennsylvania State University. He later received his M.A. in Professional Studies in Political Management from George Washington University. Kyle relocated to Virginia in 2008. He and his wife Christie live in Midlothian with their two-year-old son, Bennett. They have planted roots in the Richmond area and have a strong desire to remain here for years to come. Kyle is ready to hit the ground running upon his start May 29 and looks forward to attending as many industry meetings and events across the Commonwealth as possible to meet our members. We look forward with anticipation to his leadership as the Council enters a new phase in its growth as a resource for both its members and the legislative body in Richmond. Please join me in welcoming Kyle to the Agribusiness Council family!